Project Details: West Dakota Vet Clinic and Greystone Construction added a new equine addition to the facility. 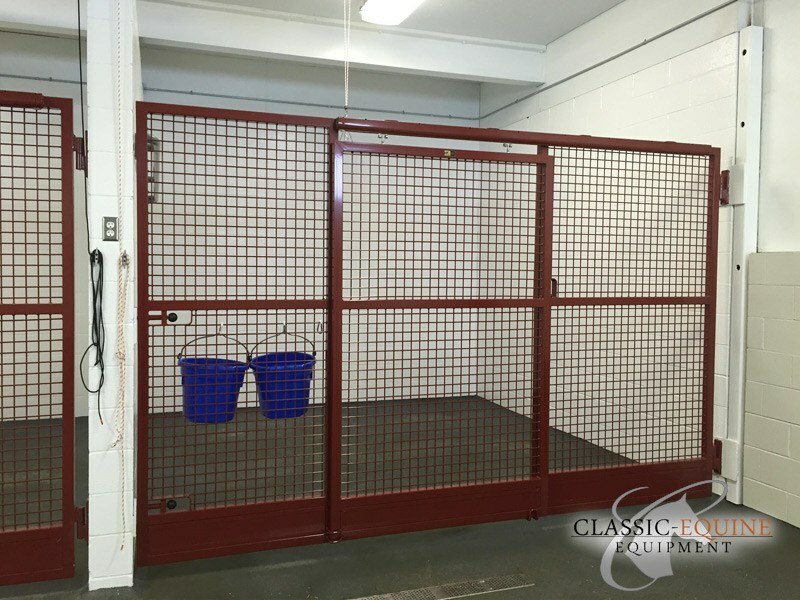 With our ability to customize to their needs, Classic Equine Equipment was selected to outfit their new stalling equipment. 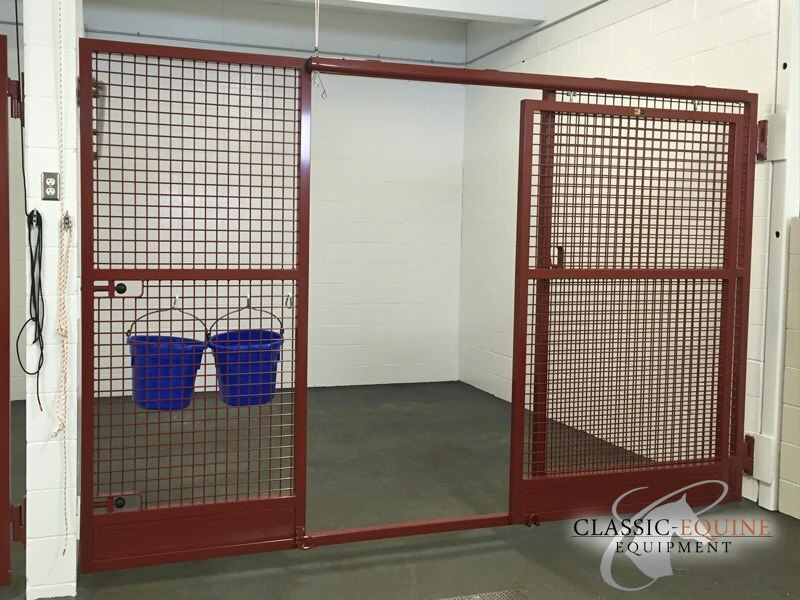 Having worked on may vet clinic projects in the past, Classic had a great understanding of what the builder and customer desired, as well as other details to keep in mind. Product Specs: This particular project called for a front that was custom designed for the clinic. Our Legend Series stall front was the best fit for their application. The full mesh front allows for maximum airflow and circulation as well as the ability to easily view the horse. The mesh also allows for easy sanitation with many horses in and out of the stalls. All musts for a vet clinic. Adding our heavy duty barrel hinge allows the entire stall front to hinge outward to access the horse in an emergency and also the ability to clean the stall easily. The solid steel shavings guard keeps the bedding in the stall and out of the aisleway. The result, a great looking front that will stand the test of time. Classic Equine Equipment would like to thank Greystone Construction and the team at West Dakota for allowing us to be a part of this project!